Almost like a mirage appearing amidst the miles and miles of strip malls, big box stores, shopping malls, gas stations, fancy steak houses, and a Duane Reade, we found a hidden oasis just off of Rte 347 in Stony Brook. Ever since we got turned on to Soup Dumplings at Joe’s Shanghai in Flushing, we Quested to find a Chinese restaurant of similar ilk in the ‘burbs that we call our home, Long Island. And, we haven’t really found a good, authentic Chinese restaurant on Long Island for quite some time, and certainly not out in Suffolk County. Until. Tonight. It is our pleasure to write this review of Red Tiger Dumpling House. Red Tiger Dumpling House from the outside looks like it might have been an old Pancake or Waffle House. Perhaps a diner. But, not a Chinese restaurant. That look changed completely when you walked in. Now from the inside when you first walk in you feel like it’s a fancy take-out restaurant… serving Bubble Tea… and like some other take-0ut Chinese restaurants, there were six tables. But, unlike take-out restaurants, EVERY table was taken, and people were waiting for tables or to take out food. This was a hidden gem. We heard about it. But, didn’t know what to expect. We liked. Please note, as we nearly learned the hard way, they ARE closed on Monday’s! Old Vine Red, Lot Number 60, a blend of California red wine. This now being the third time that Mee Har Vee joined us on our Quest, we felt confident in his ability to review Chinese food with the same acumen and perspective as the rest of us, so we anointed his vote to be official, thus making a minion of sorts. We were splendidly waited upon by Robin, who shared with us a history of the restaurant, and the food, which was from the Shandong Province of China. This would be a new experience for us. Shandong cuisine, we learned, is one of the eight culinary traditions of Chinese cuisine and is also ranked among the Four Great Traditions (四大菜系). 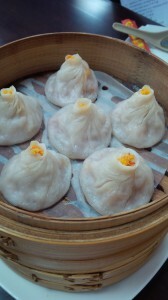 Steamed Pork Soup Buns, which are filled with a mixture of ground pork and ginger, served with a special dipping sauce. These dumplings are thin skinned with soup inside, famously known as “Soup Dumplings”. Steamed Crab Meat and Pork Soup Buns (pictured), which are filled with a mixture of ground pork, minced crab meat, and ginger. This was my favorite of the two soup dumplings. Much bolder flavor than the “plain” steamed port soup buns (dumplings). Though I wouldn’t compare these two soup dumplings to those that we enjoyed at Joe’s Shanghai. The soup wasn’t incredibly hot (which is good if you don’t know what to expect, for Joe’s soup dumplings WILL give you a second degree burn in your mouth if you’re not careful! Pork and Vegetable Pot Stickers, which are filled with a mixture of ground pork, vegetables, scallions, and ginger. I liked the dumpling part… very nice and a little crispy. The filling was so-so. Three Vegetables with Garlic Sauce (Snow peas, string beans, and broccoli). This dish was a home run in my book. Just the right mix of crispy flavor and spice. Very nice! Cumin Chicken. 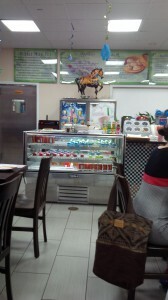 I felt like this belonged more in an Indian restaurant than a Chinese restaurant. But, we learned that cumin is used a lot in Mongolian dishes. This was spicy. And fine. The chicken wasn’t too dry. Shredded Beef with Hot Green Pepper. Another dish that I liked a lot. Though the beef could have been a little more tender. Big Meatballs with Brown Sauce (Lion’s Head). Never ever had we had a dish like this in a Chinese restaurant. The meatballs were totally yummy. Your Italian mother might have been proud to serve these in her sauce. Different for sure. Nice surprise. There were no fortune cookies or sweets at the end of the meal. But, the best surprise was the bill. VERY reasonably priced we felt for all the food that we got. This not only scored them bonus Jew Appeal points, but we left very happy on our way across the street to get some dessert at Tao’s Bakery. But alas, they were closed. Their loss… And, perhaps ours. Our sweet teeth weren’t sated until we stopped for Carvel on the way home. The perfect ending to a most excellent meal. 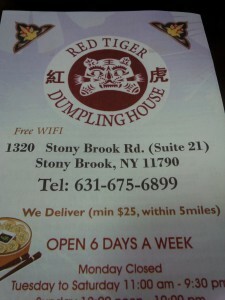 Next: [REVIEW] RED TIGER DUMPLING HOUSE – UNDERSTATED, YET TASTY! 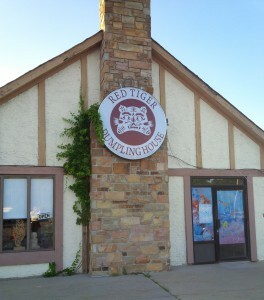 Waited a year after I first heard about Red Tiger to go there as I live in Nassau County. It did not disappoint! I totally agree with your review. Thank you Sue! Like you, I’m from Nassau County too. 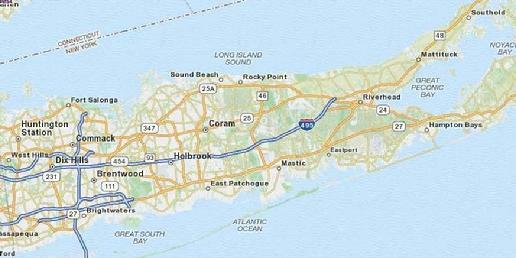 We haven’t gone out to too many restaurants in Suffolk County yet, but are planning a few more soon. What are you some of your favorite Chinese restaurants? Anywhere? We are always open and receptive to suggestions. Always the best with the most civil service is Fortune Wheel on Hempstead Tpke. I used to frequent The Orient, but they are too rude and I was given uncooked tiny garlic spare ribs in my take- out order. When I called to complain, the woman started screaming at me. 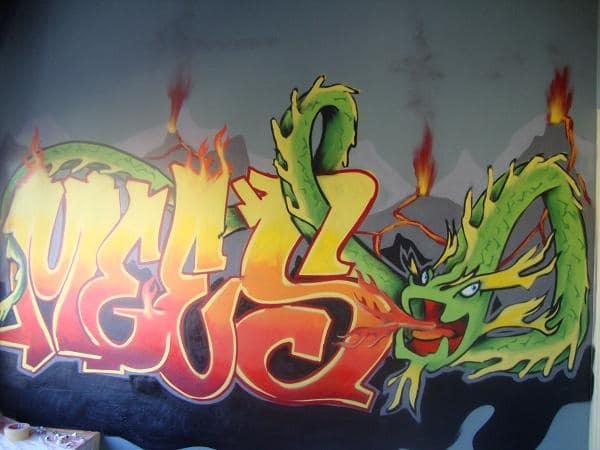 I have even celebrated the Chinese New Year there….never again! The absolutely best wonton soup and egg roll are at Kwong Ming in Wantagh. And that is it for Nassau County.